Whenever I see a coach like this I think of various scenes in literature. Looks fantastic but brrr, how cold they must have been. This is going to seem strange, but the colors and the way they are situated on the coach reminded me of the mail carriers bag from when I was a little kid. 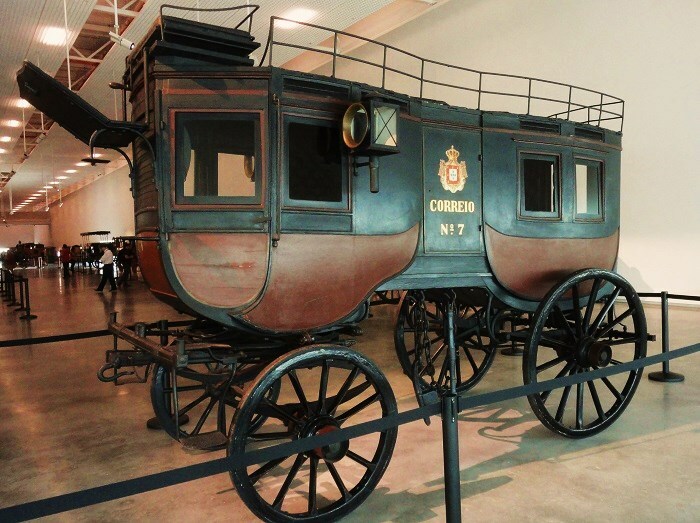 Our mail carrier back then would carry the mail in a large leather bag with two warm colors on it like this coach. Looks beautiful and wonderfully restored to it's former glory. Beautiful old carriage, Jose, and a wonderful capture as always!! I have to admit, I've always wanted to ride in a carriage like this one -- not a good idea at rush hour though, I'm sure!! Hope your week is going well!! These old coaches are really beautiful. Nice to see them in such good shape. How beautiful. I really wished we didn't skip the museum. It's wonderful although I must say that the old museum you showed us had more atmosphere. I've never seen one like this--- It must have carried 6-8 people pretty easily. Wonderful shot. What a beautiful way to transport mail! It looks well cared for! Running the mail, like our Old West stagecoaches. A picture such as this sets my off imagination. WOW! In such lovely condition!